It will be a long time before people forget, or come to terms with, the momentous political events of 2016. The EU referendum in UK and the Presidential Election in USA were both divisive and hard-fought, with unexpected and marginal results, no doubt reminding many people of the great Winston Churchill's opinion that democracy is the worst form of government - except for all the others. But rightly or wrongly Brexit and Trump are realities and we now have to accept the will of the people and look forward with optimism to the future. 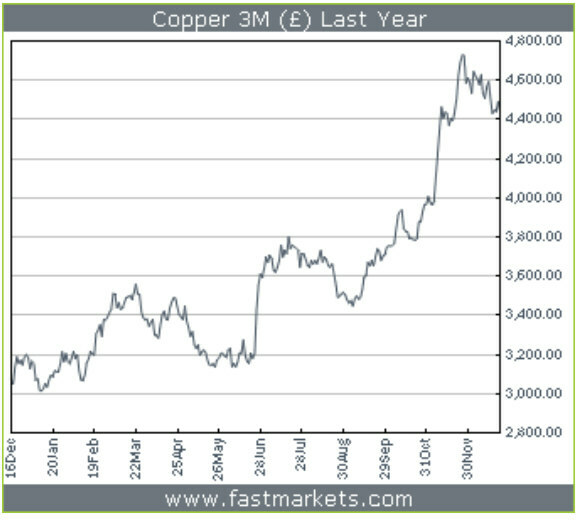 There is speculation that Donald Trump’s promise to revive American infrastructure means commodities, such as steel, iron ore, nickel and zinc, used to build everything from airports to bridges, will benefit under his presidency, and already in recent months there have been encouraging signs that these metals are bringing the mining industry out of its long decline. 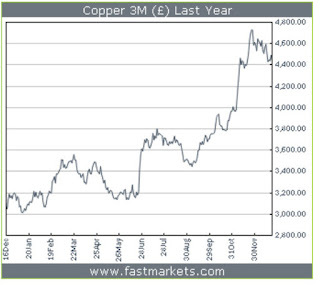 Copper, perhaps the best indicator of the state of the industry's health, has been one of the worst performing commodities in the past two years, but has enjoyed a bullish resurgence in the last few months, fuelled by a pick-up in Chinese imports. 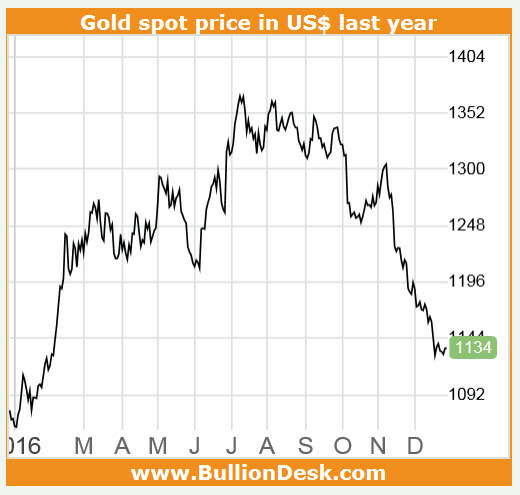 In contrast to the base metals, gold began the year with encouraging price rises, but unfortunately prices have fallen again in recent months, for various complex reasons. Representing MEI at African Mining Indaba '16 in Cape Town, February. signing copies of the 8th edition of Mineral Processing Technology. 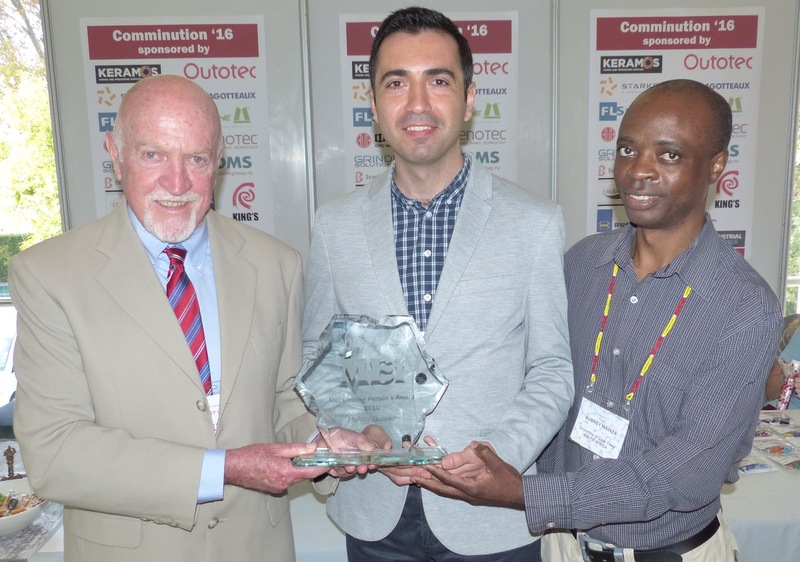 Presenting the 2015 MEI Young Person's Award to Hakan Dundar in Cape Town in April. 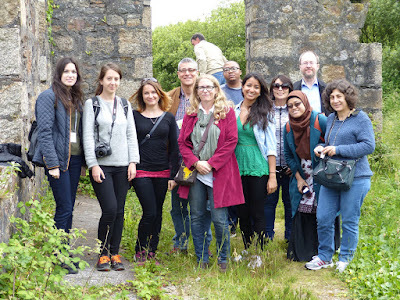 in June for the conferences, and were on their first visit to UK. A great year, and, as always, about people, so a big thankyou to all who were a part of it. We wish you all the very best for 2017. 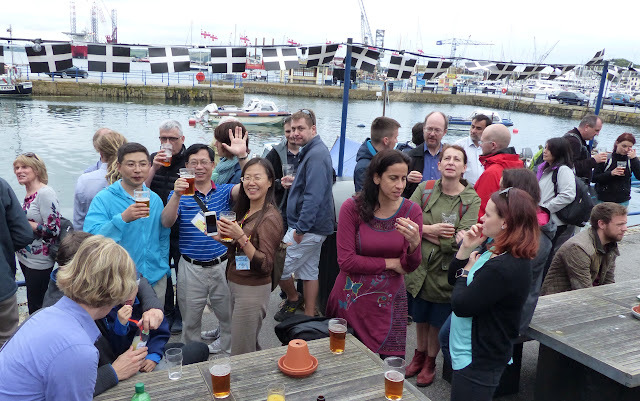 We are delighted to announce that the Cooperative Research Centre for Optimising Resource Extraction (CRC ORE) is to sponsor Physical Separation '17 in Falmouth in June, joining co-sponsors Holman-Wilfley and Steinert Elektromagnetbau. CRC ORE was founded under Australia's Cooperative Research Centres programme, and is supported by AMIRA, Anglo American, Bear Rock Solutions, BHP Billiton, Comet Strategy, CRC Mining, CSIRO, Curtin, DataMine Australia, Gekko Systems, Glencore, Hatch, IMDEX, JKTech, Kellogg’s Institute (KIN), METS Ignited, Mipac, MRIWA, Newcrest, NRC Canada, Orica, Queensland University of Technology (QUT), Sedgman, Sodern, Split Engineering, SRK Consulting Canada, Sumitomo, Teck, University of Adelaide, University of Queensland (UQ), University of Tasmania (UTAS) and Whittle Consulting. This global consortium of Mining companies, Mining Equipment and Technology and Services (METS) companies and research institutions provides a platform for sharing information, drawing on a diverse, cross-section of expertise and decreasing the risks associated with the implementation of innovation on operational mining sites. CRC ORE's goal is to transform the minerals sector by deploying innovative world-class technology to effect a step change in value across the whole-of-mine system, by focusing on radically improving the productivity, energy and water signatures of mining operations. They are also dedicated to reversing the ‘conventional wisdom’ of grade decline through new gangue rejection techniques. The group is determined to unlock the synergies of existing and latent technology already available which has not been integrated on mining sites. They also wish to develop co-creation partnerships to access and implement emerging technologies from other industrial sectors. 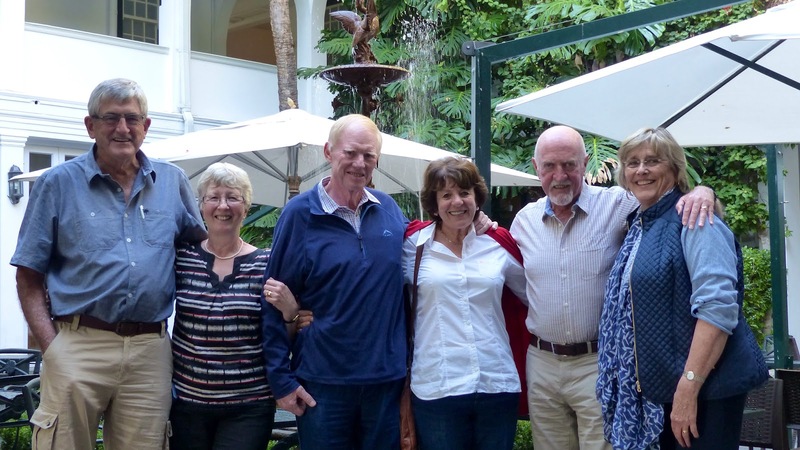 CRC ORE is a not for profit organisation funded by the Australian Federal Government and the global minerals industry, and after its initial 5-year funding term, which commended in 2010, was awarded a further 6-years of funding until July 2021. MEI looks forward to a continuing involvement with this worthy and ambitious venture. #PhysicalSeparation17- a reminder that the deadline for abstracts is the end of this week. There is no one who has been associated with Cornish mining who has not heard of Tyacks, situated in the centre of Camborne, itself once the epicentre of the world's copper and tin mining industries. Established in 1780 the hotel is only a few yards from the site of the original Camborne School of Mines (CSM), and during my first few months at CSM, when I lived in rented accommodation just around the corner on Camborne Hill, it was my 'local' and was frequented by local miners and CSM students and staff. Once CSM moved to Pool, between Camborne and Redruth, and the family and I moved to Falmouth, I turned to other more convenient hostelries, and last night's sundowner at Tyacks was my first visit in over 40 years. 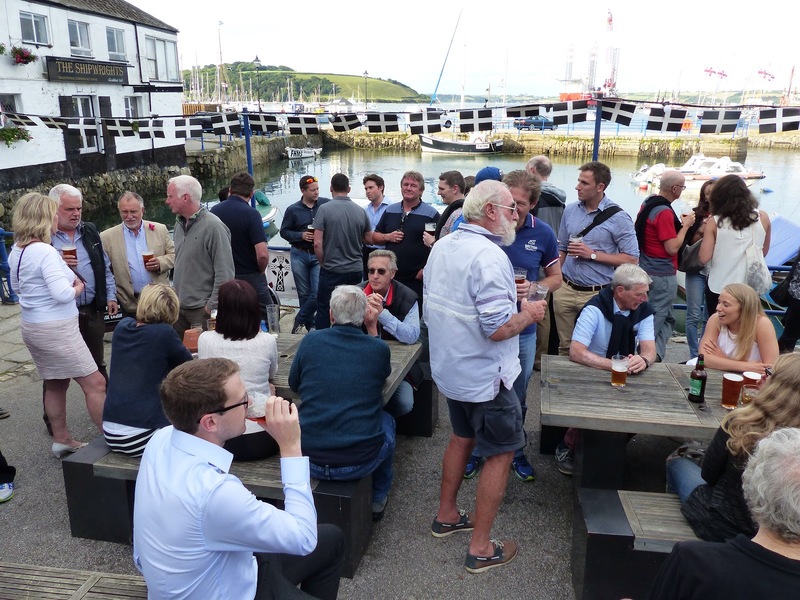 The old inn is steeped in atmosphere, as is our summer sundowner location, Falmouth's Chain Locker. But whereas the Chain Locker reflects Falmouth's nautical heritage, Tyacks highlights the area's rich mining history, and dotted all around the pub are pictures of Camborne's most famous mining engineer, Richard Trevithick (posting of 25 April 2015) and photos by arguably the 19th century's most accomplished mining photographer, also a Camborne man, J.C. Burrow (posting of 25 May 2015). Appropriately there was a great turnout for the last sundowner of 2016, and I am sure that many of the faces in the photographs below will be familiar to many of you. This is the first announcement of important journal news which will affect all mineral processing researchers. As of January 2018, Minerals Engineering and International Journal of Mineral Processing will merge into one journal with the title Minerals Engineering incorporating International Journal of Mineral Processing. Full details of the reasons for the merger can be found on MEI Online. This merger will obviously affect the Editorial structure, and details of the new editorial team and the associated editorial board and reviewers will be announced early next year. Many thanks to all of you who sent us best wishes by cards and emails. Wishing you all the very best for Christmas and for 2017. I first came across this book at the SME Meeting in Phoenix earlier this year, when the author W. Scott Dunbar was signing copies at the SME Bookstore. This colourful book, available from SME, consists of eight chapters. Chapter 1 provides an explanation of how mineral deposits are formed and how they are found. Chapter 2 describes mining methods, the systems and machines used to extract ore from the earth. Chapter 3 describes a few of the methods used to process the ore and produce metals. 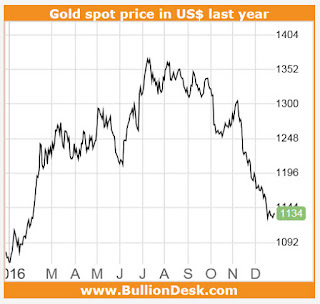 Much of mining refers to the production of metals, but nonmetallic minerals are a huge part of the industry. Chapter 4 discusses the particular examples of coal, diamonds, and gravel (aggregates). In addition to minerals and metals, mining and processing ore produce large amounts of waste products that must be managed, often for an indefinite period. The science and technologies applied to this important part of mining are the topics of Chapter 5. Mining also involves people, the communities in which they live, and the government of the country in which the mine is located. As described in Chapter 6, the related issues are important, interesting, and sometimes challenging. Chapter 7 describes the mechanisms for establishing prices of metals and minerals and discusses the legal definition of ore. Finally, Chapter 8 presents some ideas about mining in the future. In his Preface, Scott acknowledges that he was encouraged to write this book by Jane Olivier, the books manager at SME and I am grateful to Jane for providing me with a review copy. The first thing that I noticed on flicking through the book is how beautifully it is illustrated, with a profusion of excellent informative diagrams and photographs. As Scott so rightly says pictures in a book like this are worth far more than a thousand words, and the majority of the images in the book were generously provided by many companies and individuals. 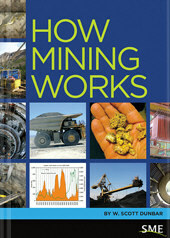 The second thing that is evident is that this is not intended as a reference book for the serious mining professional. It is very basic, and that is its beauty as it will be of great value to anyone working in the industry who seeks a wider view of what makes mining work. So, personally, I did not learn a great deal from Chapter 3 on Mineral Processing and Refining, my own specialist area, but I did from the other seven chapters, which explained all other aspects of the industry, such as mining methods, in a very clear and simple manner. This book should be high on the essential reading list for first year undergraduates on degree courses in geology, mining, mineral processing or any other areas of the minerals industry. I would also like to see it on the library bookshelves at schools, to hopefully enthuse pre-University students in this essential industry, although it is a shame that Scott does not put more emphasis on just how important the mining industry is, all other industries being dependent on it for a continuous supply of metals and minerals. In summary Scott Dunbar must be congratulated on producing a much-needed book which I hope will achieve all the success that it deserves. Ore sorting will be one of the most important future separation technologies, particularly within the comminution circuit, where it can be used to scalp out unwanted hard, abrasive gangue thus reducing overall energy consumption. So it is good to welcome back Steinert Elektromagnetbau, an international leader in this technology, as a sponsor of Physical Separation '17. 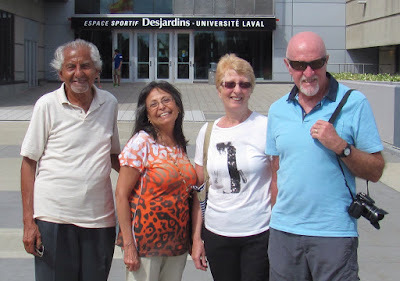 The company also sponsored Physical Separation '15. Abstracts for the conference should be submitted by the end of this month. Do you know of a young person who has made an outstanding contribution to minerals engineering in 2016? 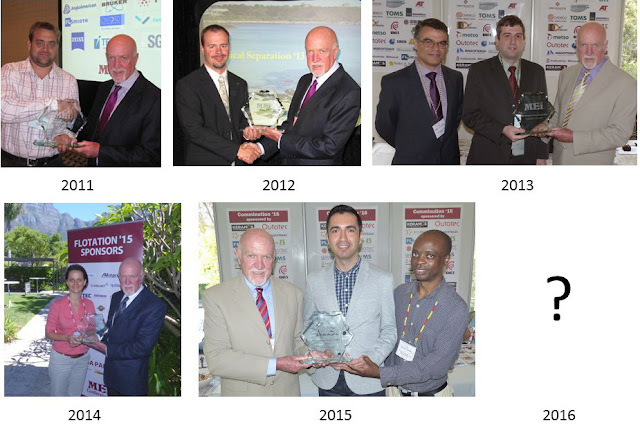 If so, he or she might join the 5 previous winners of this award, Peter Amelunxen of Chile (2011), Randall Zahn of USA (2012), Rodrigo Carvalho of Brazil (2013), Elizabeth Whiteman of Canada (2014) and Hakan Dundar of Turkey (2015). Nominations, for persons under 35 years of age at December 31st 2016, should be submitted by email to bwills@min-eng.com by 3rd February 2016 and the name of the recipient will be announced at the end of that month. Nominations should include the name, age and affiliation of the nominee, and reasons for the nomination. The recipient will receive an engraved award and a complimentary registration to any MEI Conference in 2017, where the presentation will be made. Just a reminder that, if you wish to present a paper at Computational Modelling '17 and/or Physical Separation '17, abstracts are due in by the end of this month. Further details can be found on the posting of 5th September. Hope to see you in Falmouth, which yesterday was announced as the winner of the Great British High Street of the year (Coastal Community) award. And June is one of the best times to visit, and to spend some time exploring this wonderful part of Cornwall (posting of 11th March 2015). Cape Town is one of the great cities of the world, with unique and wonderful mountain and ocean scenery, excellent food and wine and, surprisingly to many first time visitors, a safe and friendly environment. 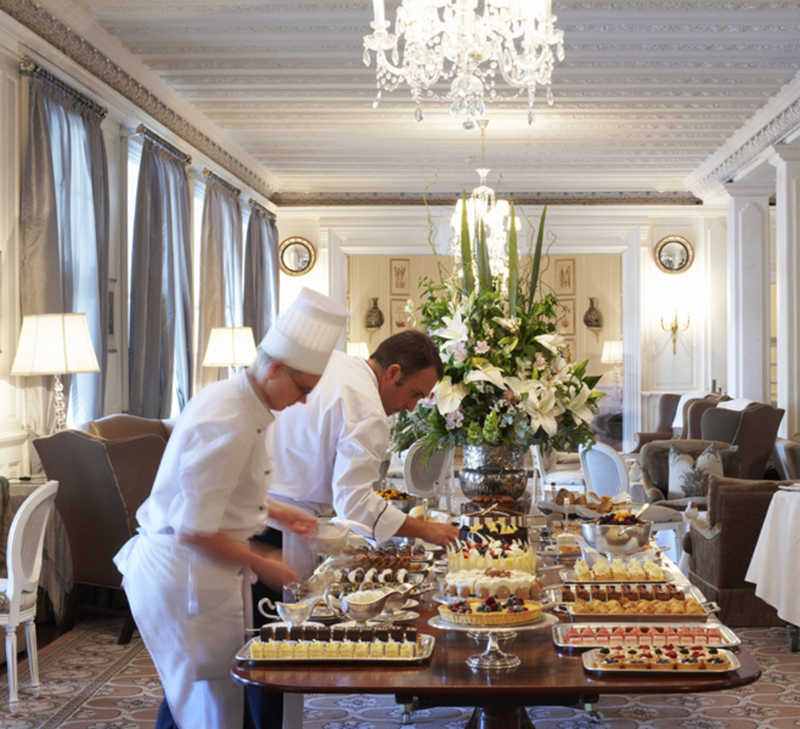 One of the most attractive suburbs is Claremont, home of the beautiful Vineyard Hotel, and the venue for MEI's larger conferences. 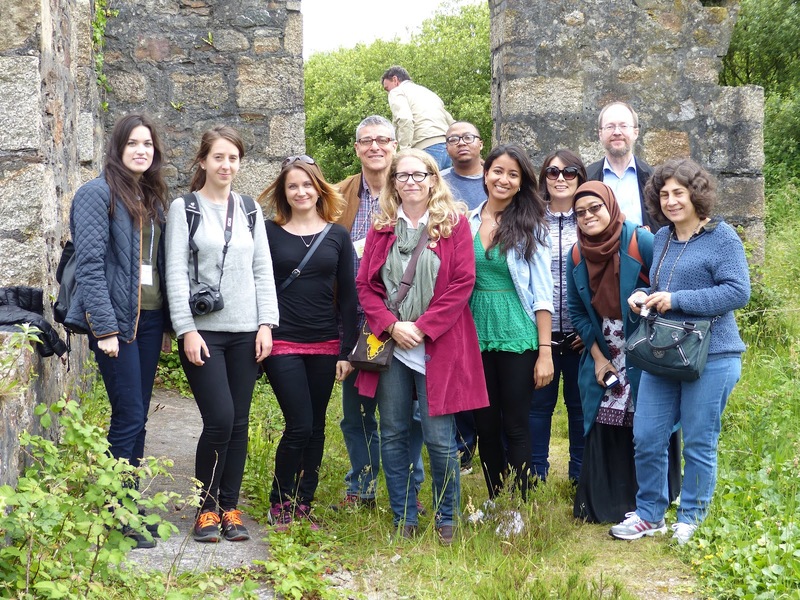 It is gratifying to see that delegates, after making their debut at an MEI Conference here, often return with their families and stay on to savour some of the delights of the region. An obvious choice and I doubt if there will be disagreements here. The mountain is Africa's great icon, the first thing a traveller by sea would see on approaching the Mother City. 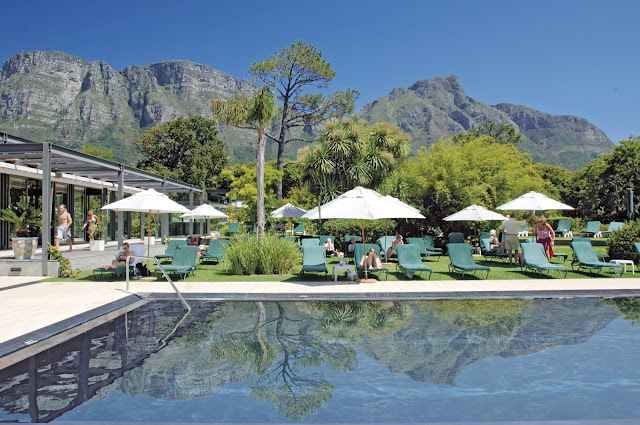 There is a great view of the mountain from the Vineyard Hotel, but to see the classic 'flat-topped' mountain, you must go into the city itself. No visit to Cape Town is complete without a visit to the top of the mountain and my advice is to do this as early as you can, when the visibility is good and the cable car is not closed due to the frequent high winds. 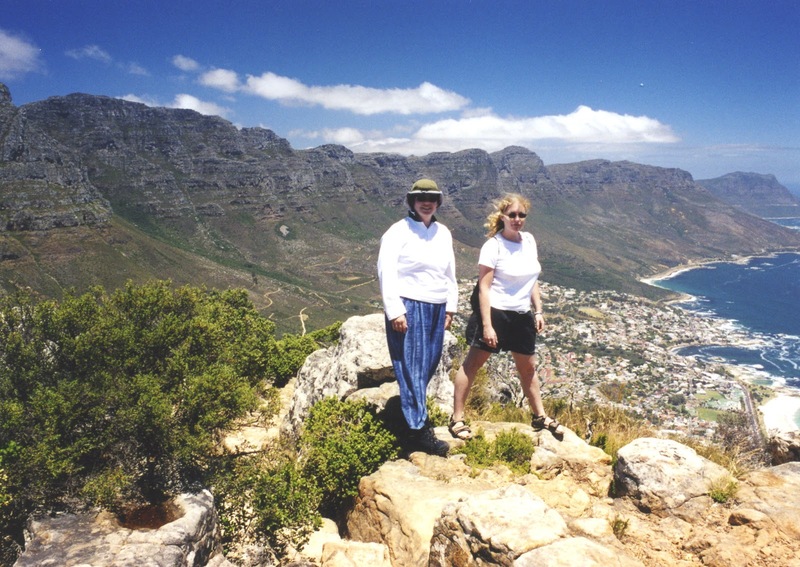 If you are a fit and regular hiker then there are many hiking trails to the top of the mountain, the easiest via Platteklip Gorge, but beware that the weather can change very quickly on the mountain, so you should not venture alone- you should be accompanied by someone with experience of this capricious mountain. I would also recommend that you walk up and then descend by the cable car (much easier on the knees!). Although there are wonderful views from the top of Table Mountain, there is one thing missing- Table Mountain itself. For the best views of the city and its mountain you should take a ride up Signal Hill. Stop on the road about half way up for a great view, or if you are adventurous why not enjoy a serene tandem paraglide with one of the operators at the top of the hill, crossing the city before landing gently at Seapoint? Highly recommended is the walking trail which you will see on the left as you drive up the hill. 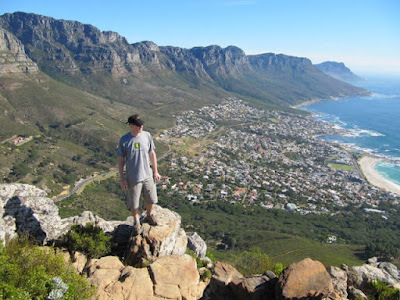 This takes you on a relatively easy walk up Lion's Head mountain. It looks daunting, but the trail winds around the mountain, providing stunning vistas of Table Mountain and the city and the Atlantic Coast all the way down the Cape Peninsula. Park your car or take a taxi to the Mount Nelson Hotel, regarded as Africa's premier hotel. Walk round the beautiful grounds, have coffee on the terrace and then stroll through the Company Gardens, which takes its name from the Dutch East India Company who first started the garden in 1652 for the victualing of their ships that plied the spice trade route between Europe and the East Indies via the Cape of Good Hope. When you leave the Gardens, passing the beautiful Cape Parliament, it is worth turning left up Whale Street to visit Bo-Kaap an area formerly known as the Malay Quarter. It is a former township and is an historical centre of Cape Malay culture in Cape Town. The area is known for its brightly coloured homes and cobble-stoned streets. Then you might like to take in city life by strolling down Long Street, returning to the Mount Nelson via Adderley Street, the main street which runs parallel, in time for the famous Mount Nelson afternoon tea. Although you could include the Victoria and Alfred waterfront in your City Bowl experience, if this is your first time in Cape Town you may wish to spend most of a day in this, probably the world's most vibrant waterfront. There is so much to do here, shopping in the extensive indoor malls, al fresco dining with great views of Table Mountain, an excellent aquarium and much more. Just soak up the atmosphere, particularly on a Sunday when local musicians and dancers are much in evidence. 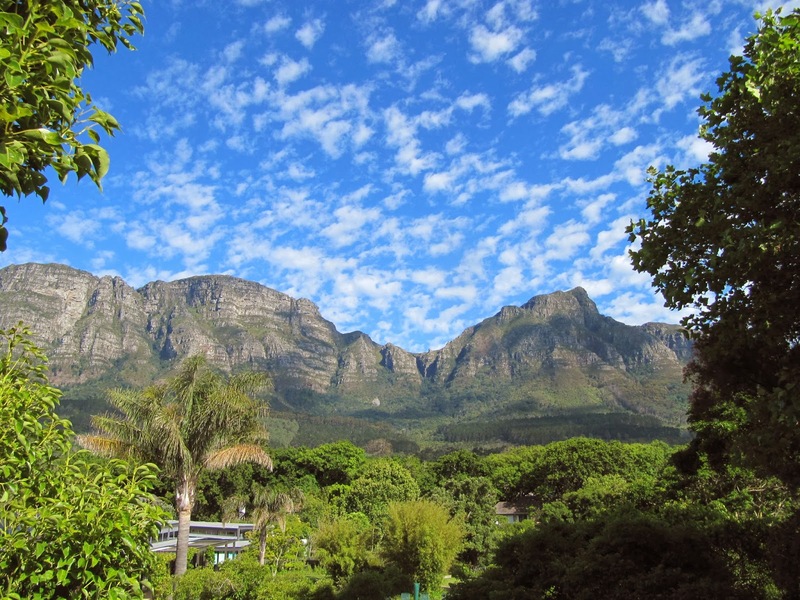 Generally regarded as the most spectacular botanical gardens in the world, Kirstenbosch is only a 5 minute taxi drive from the Vineyard Hotel. Kirstenbosch is also a good starting point for one of the best, but strenuous, hikes up Table Mountain, Jan Smuts Track, via Skeleton Gorge. The Constantia Valley, lying between Table Mountain and the False Bay coast, is a must visit area, as it is only a 15 minute drive from the Vineyard Hotel. The valley is extremely beautiful, with vineyard rows that stretch up the eastern slopes of the Constantiaberg mountainside. The wine route is an easy morning or day trip and the farms provide quality restaurants for lunches and tea. My recommendation would be to visit Groot Constantia for morning coffee. Groot Constantia is the oldest wine producing farm in the country and lays claim to the roots of the South African wine industry. The homestead, one of the first and finest examples of Cape Dutch architecture, is exquisitely furnished with antiques, and wine can be sampled and purchase on the estate, where there are also daily wine tours. For a long leisurely lunch, head for the wine estate with the unpronounceable name, Buitenverwachting (Beyond Expectation), which has one of South Africa's finest restaurants, and call in, on the same road, at Klein Constantia to admire its wonderful setting on the slopes of Table Mountain. 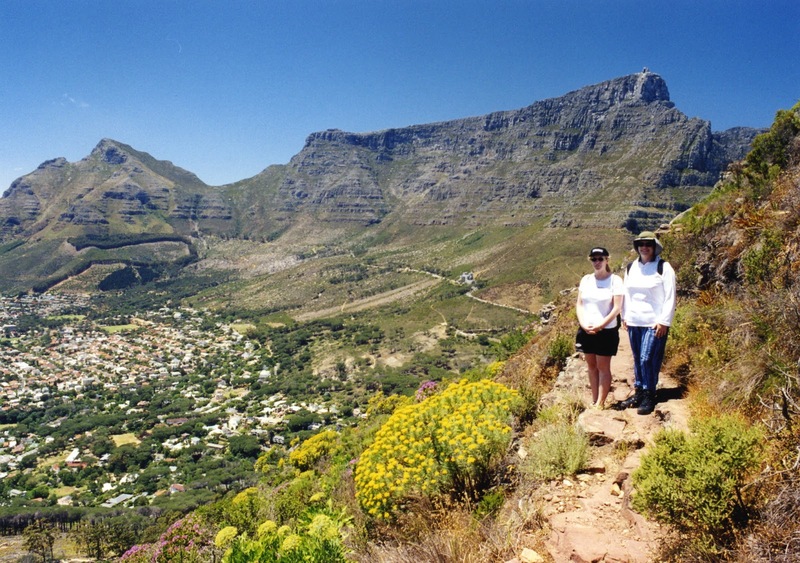 This full day is on virtually every itinerary for Cape Town visitors, and although many tour operators offer this, I would definitely recommend that you rent a car and do your own thing rather than join the big groups. From the Vineyard Hotel head off down the M3 towards Fish Hoek and Simon's Town, with a stop at Boulders Beach to see the colony of African penguins. From Simon's Town continue to Cape Point, and if you have time leave your car at the Cape of Good Hope and take the short but spectacular walk to the Point. Your car will be in safe hands, watched over by the many colonies of baboons in this area! Check if the awesome Chapman's Peak Drive is open, and if it is, return to Cape Town via the Atlantic seaboard. ﻿If you have time, take a stroll along the beautiful Noordhoek Beach, used as the setting in many films, including Ryan's Daughter. Finally, before you reach Cape Town, stop for a late afternoon drink at one of the many bars and cafes along the city's most beautiful beach at Camp's Bay. A long but exceptional day out! The beautiful Garden City also has another side, which should be part of your Cape Town experience- the African townships and memories of the dark days of apartheid (see also posting of 25 November 2010). I would suggest a full day, organised by many of the local tour companies, visiting Robben Island, District Six and the sprawling Khayelitsha township. 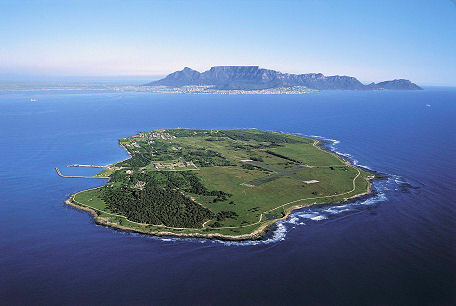 Robben Island is notorious as the former prison where Nelson Mandela was incarcerated for 18 of the 27 years he served behind bars before the fall of apartheid. The current South African President, Jacob Zuma, was also a former inmate. The ferry journey to the island offers great views of Table Mountain, but on arrival this is obviously a grim place as former inmates recount their experiences to tourists, who also get the chance to see Mandela's tiny cell. District Six is also an infamous area, which, like Robben Island, can be seen clearly from the top of Table Mountain. District Six, however, is an area of virtually empty space in the City Bowl. The District Six Museum, founded in 1994, is a memorial to the forced movement of 60,000 inhabitants of various races in District Six to the barren Cape Flats, after their houses were flattened by bulldozers. The reason was that on 11 February 1966 District Six was declared a white area under the Group Areas Act of 1950. Such was the worldwide outcry that further building never took place but the desolate area is well worth the visit as a poignant reminder of those dark days, captured in the museum. 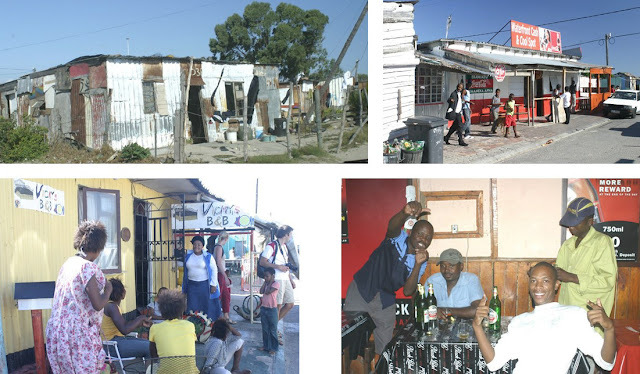 Although there are a number of African townships around Cape Town, Khayelitsha, located on the Cape Flats, is the largest in South Africa, and is the one most visited by tourists. 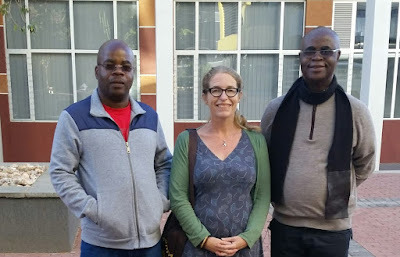 The visits are fascinating insights into the lives of many, mainly black, South Africans, and the guide is usually an inhabitant of the township, who will show you a vibrant part of Cape Town where you can visit markets, shops and drink local beer in the shebeens. If you are particularly adventurous you may also decide to stay overnight in one of the B&B accommodations on offer. No visit to Cape Town is complete without spending at least a day in the Winelands, arguably the most beautiful wine area in the world, covering an extensive area with many wine routes, such as those centred on Stellenbosch, Paarl, Franschhoek, Robertson, and many others. Drive along the False Bay coast to Stellenbosch, South Africa's second oldest town, and have a wander down historic Dorp Street, host to some of South Africa's oldest houses. 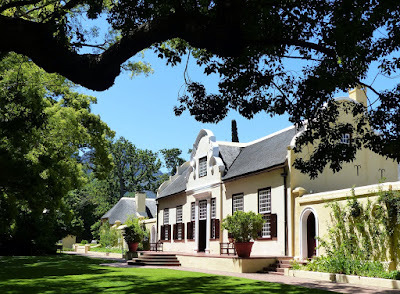 Then head off towards Franschhoek, stopping off at the impressive Boschendaal Wine Estate for wine tasting in the shade of the huge oak trees. And then on to a late lunch in the town of Franschhoek, renowned for its fine restaurants. 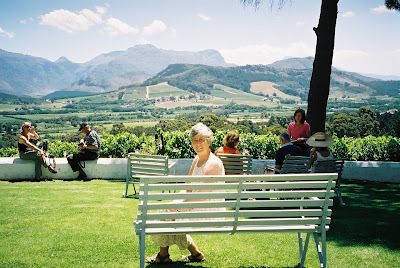 Franschhoek ('French Corner') was originally settled in 1688 by French Huguenot refugees and a visit to the Huguenot Museum is well worth while. There are many fine restaurants along the main street, but if you have the time, take a long leisurely lunch at La Petite Ferme, with its stunning views across the Franschhoek Valley. 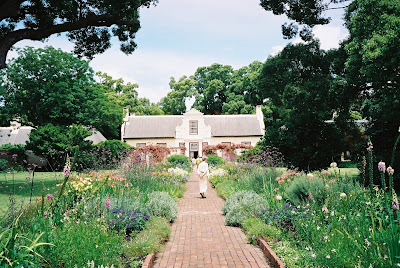 If you have the time, return to Cape Town via the fairly drab town of Somerset West, home to the Vergelegen Estate which has one of the most photographed manor houses, set in colourful gardens. If you are taking an evening flight from Cape Town airport, returning via Somerset West is a great option as it is close to the airport on the N2 and you will avoid the gridlock of cars leaving Cape Town in the late afternoon. Finally, why not spend a day doing absolutely nothing? If you are staying at the Vineyard Hotel, take a stroll around the beautiful gardens, relax by the pool, or maybe walk over to the large mall in Claremont for some last minute shopping? So, those are my suggestions. Now let's have yours!